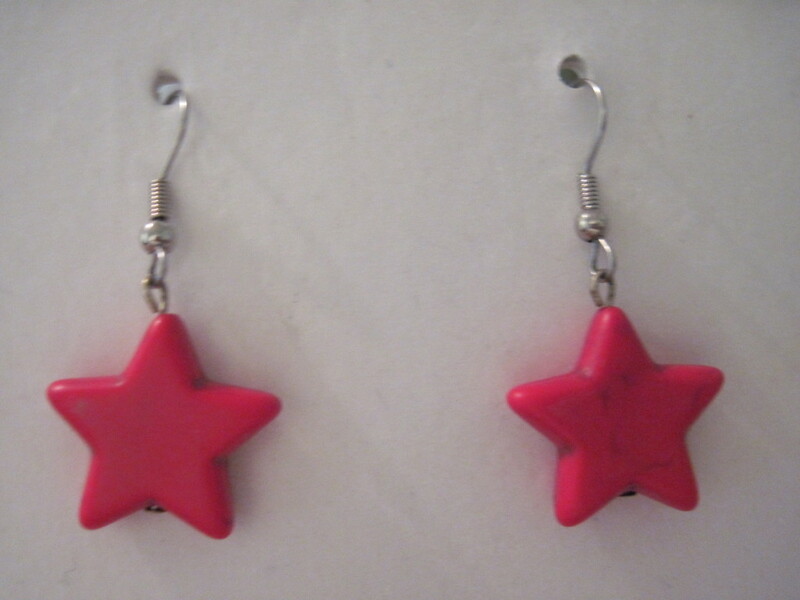 Hand beaded and designed by Dee. Each bag incorporates hours of hand beaded work. 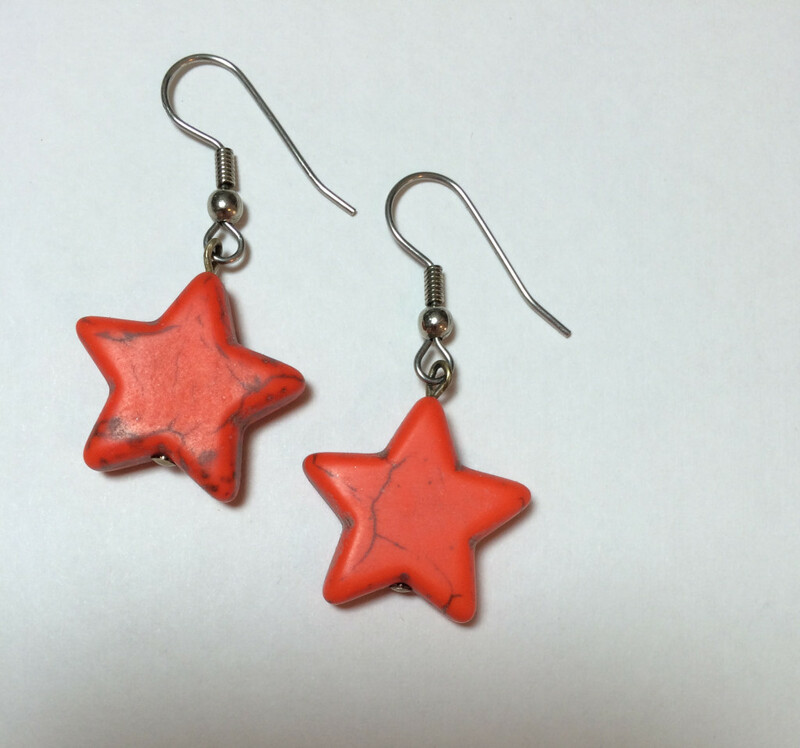 This one features a drangonfly charm. 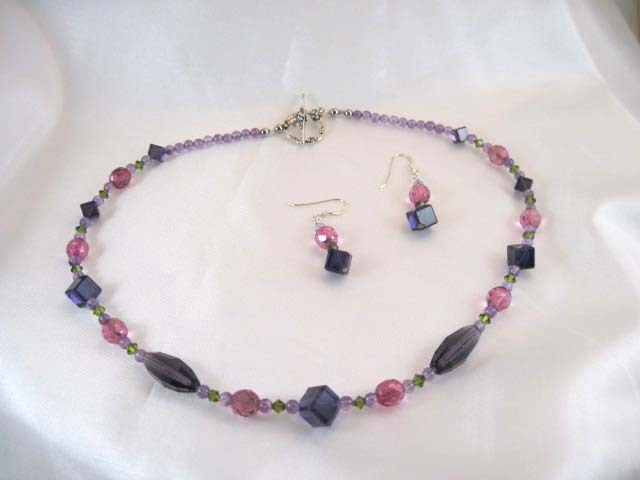 Seed beads, swavorski crystals and glass bead drops. 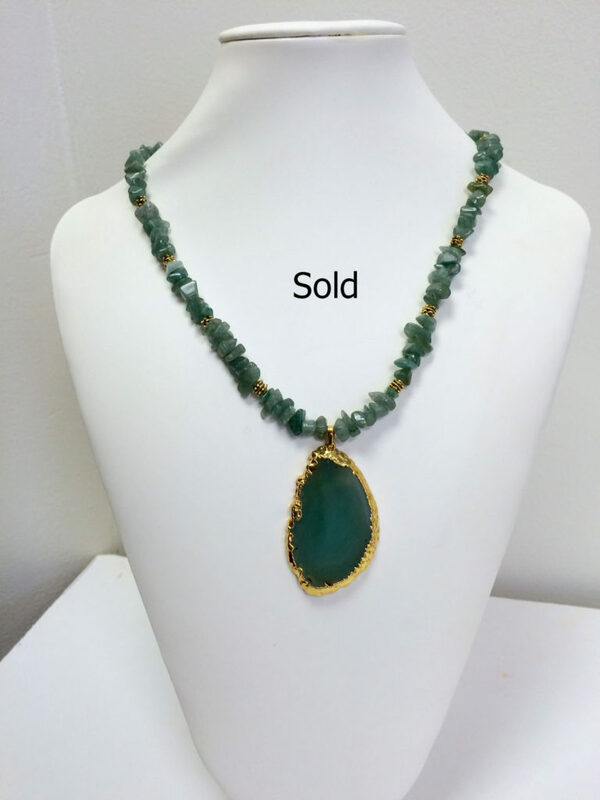 50-55mm Green Zoisite with ruby inclusion. 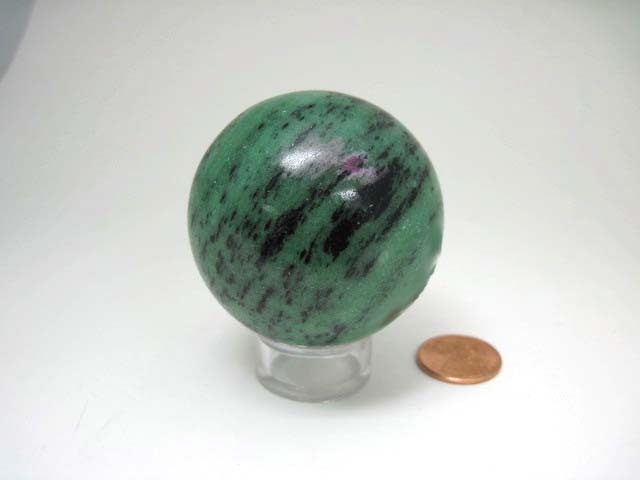 Both Ruby and Zoisite are powerful healers. 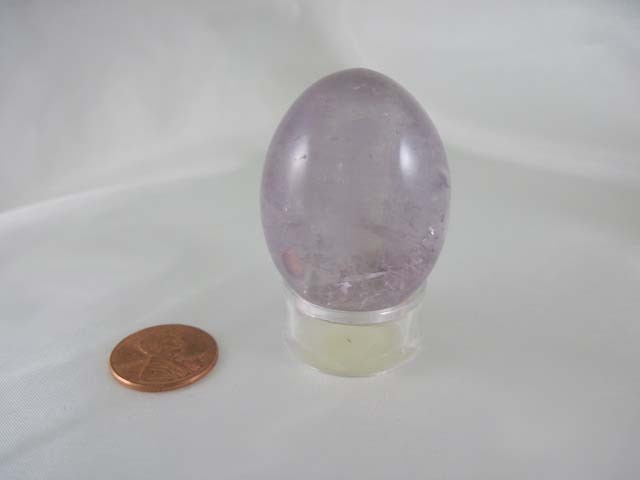 Excellent for releasing long held fears and balances an over-active emotional nature. It strengthens the life-force. Root and Heart Chakra’s. 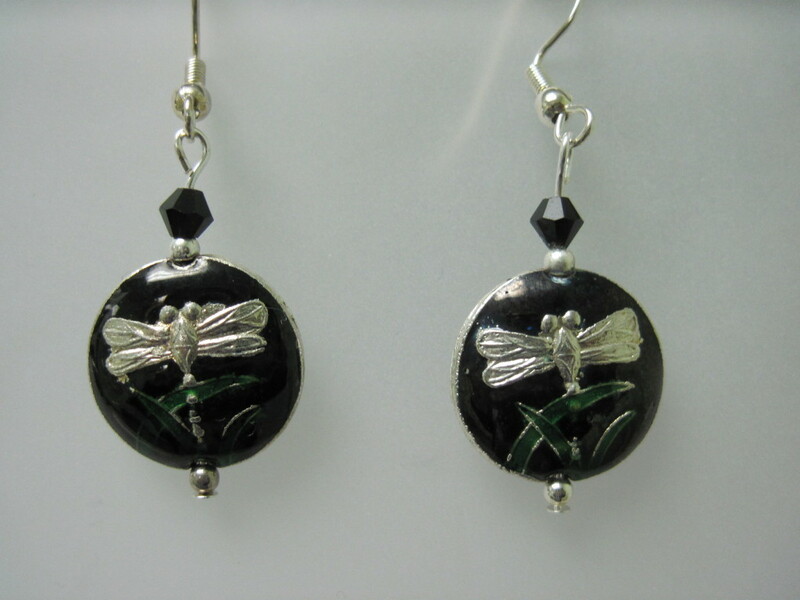 Enameled black earrings with a dragonfly in silver plate with a black Swarovski crystal. 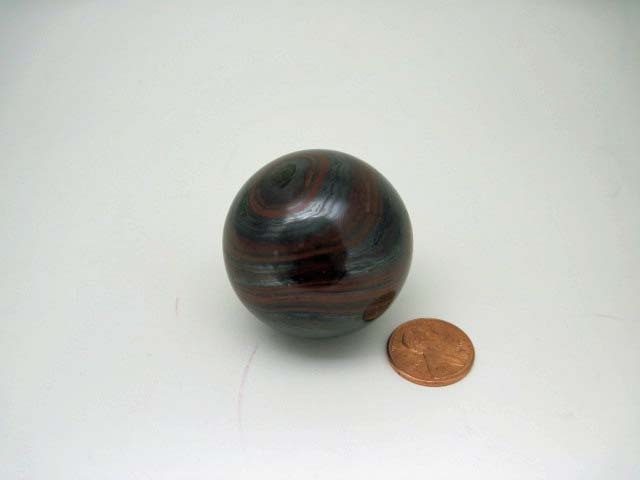 40mm Tiger Iron Ball A blend of hematite, red japer and tiger eye. 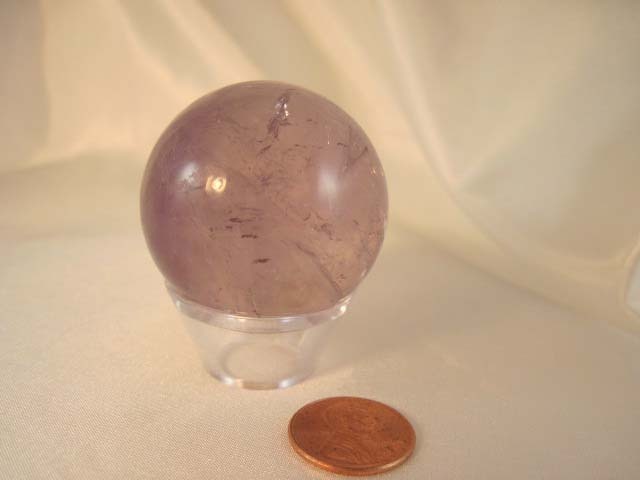 Assists in manifesting dreams, ideas and projects. 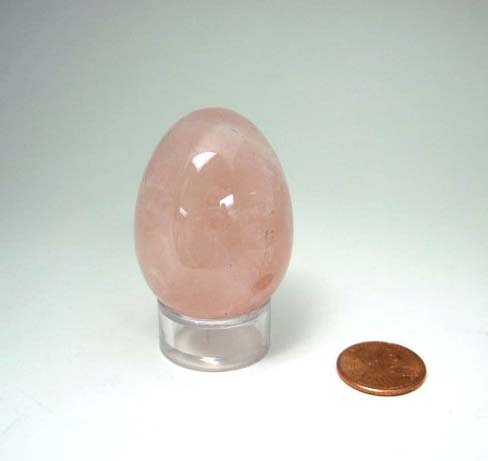 It is a grounding stone, giving courage and strength. Gives clarity of mind, confidence and willpower. Strengthens nerves and the immune system. Unique one of a kind, hand beaded and designed by Dee. This bag incorporates hours of hand beaded work. 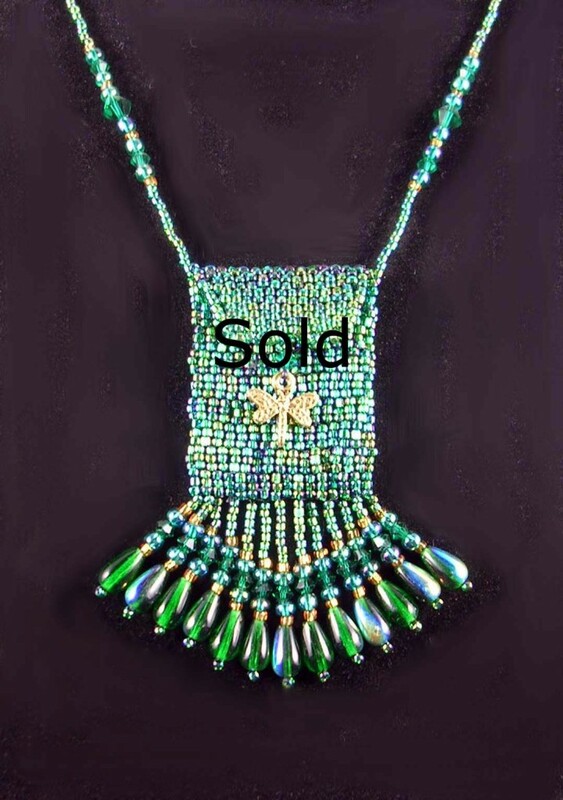 This one features a spray of beads on the flap and includes seed beads, swavorski crystals and glass bead drops. 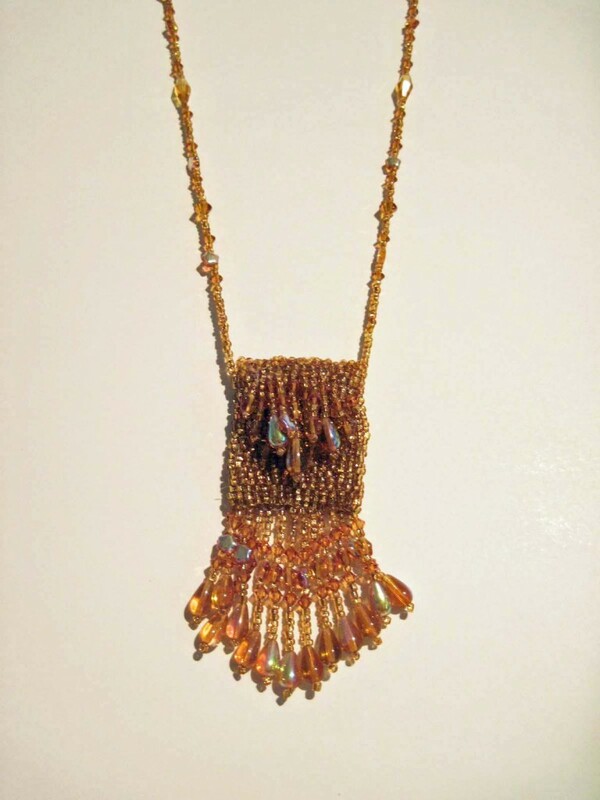 Bag itself measure 1 3/4″ x 1 3/8″, with fringe measure 3 1/2″ and beaded chain is 22″ for a total of 25 1/2″. 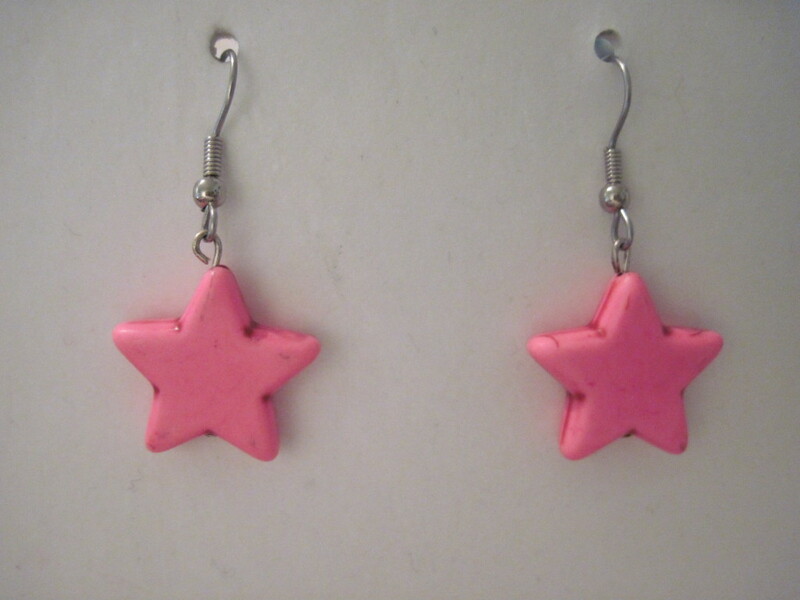 This is the “it” color for 2014. 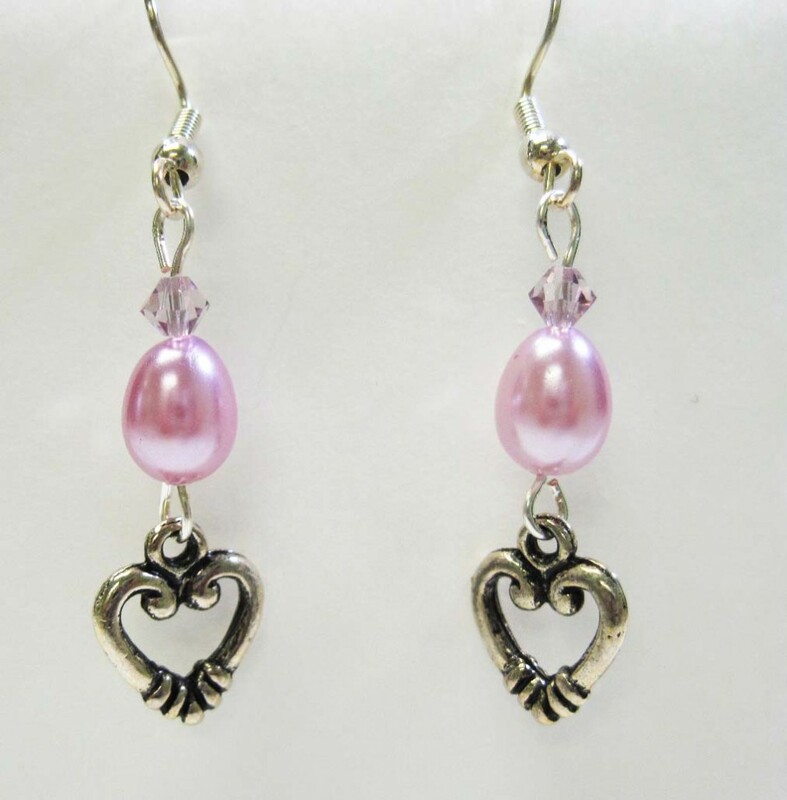 Lovely oval pearl with Swarovski crystals and silver plated heart drops on plated earwires.